Listening intently, submarine sonar operator Bill Anderton knew he’d picked up an enemy vessel. 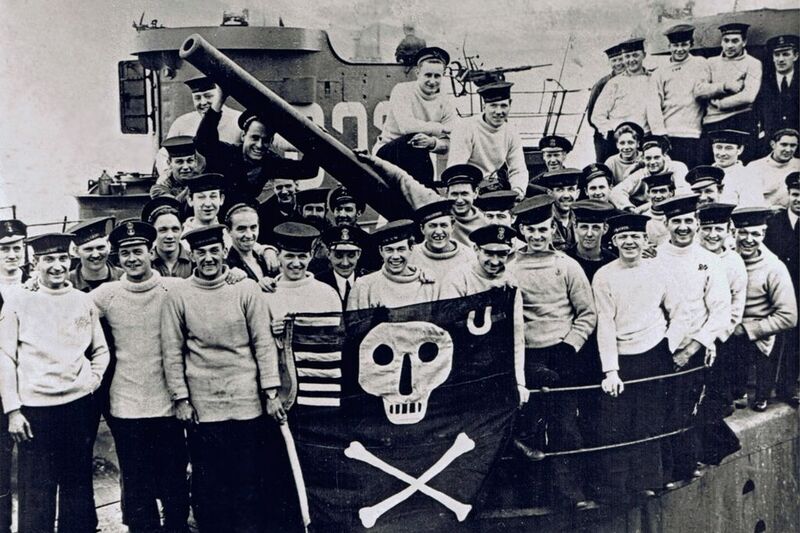 On joining the Royal Navy in 1942, the Warrenby lad was originally attracted to serving on submarines because it offered an extra three and sixpence a day. But two years later, deep in icy waters west of the Norwegian town of Narvik, money was the last thing on the 21-year-old Teessider’s mind – he was putting his training into lethal action. The vessel Bill detected on June 15, 1944 was German enemy submarine U-987. His intensive training back at Gosport in Hampshire meant he knew what a U-boat sounded like. And soon after he raised the alarm, the submarine he served on, HMS Satyr, was sending torpedoes hurtling away to successfully sink their target. Using intelligence supplied by Bletchley Park codebreakers and brave Norwegian coastwatchers, Bill and the 35-strong Satyr crew patrolled far into the Arctic Ocean to protect vital Allied supply convoys from marauding U-boats and warships. And it was during one of these highly dangerous patrols in June 1944 that Satyr intercepted the U-987. 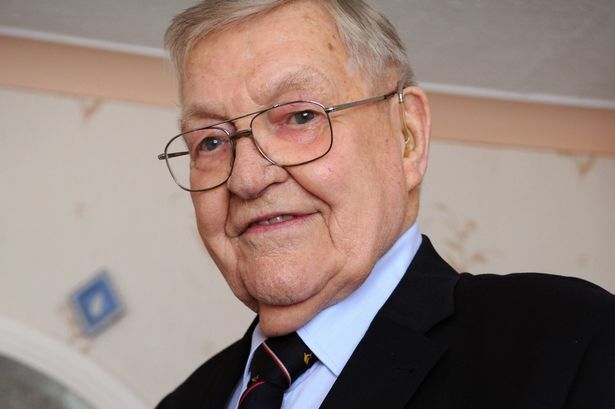 Memories of his time on Satyr came flooding back for Bill recently when he attended a memorial service in Dundee – home of HMS Ambrose, his submarine’s home base. Each year, a service is held at the city’s memorial to honour the 296 submariners and commandos from HMS Ambrose who are “Still on Patrol” – in other words, the ones who never came back from their often perilous missions. Bill, of The Avenue, Redcar, is the last surviving member of HMS Satyr’s wartime crew, so it was fitting that he and 89-year-old Robert Gilfillan of Erskine, Scotland – the last crew member from another Ambrose vesel, HMS Sceptre – were special guests at the annual service. And while Satyr had other wartime skirmishes, including the sinking of Norwegian merchant ship Nordnorge and unsuccessful attempts to sink German merchant vessels in August 1944, the attack on U-987 is always the mission that comes to mind. Bill, 90, recalled: “I would sit for four hours at a time, earphones on, listening for whatever was out there. As soon as I heard anything, I reported it to the officer on the watch and they would go to action stations. It was in the Arctic in July and in broad daylight. We did two hours diving and two hours on the surface, although we were below when we detected the submarine. “They fired six torpedoes – two ahead, two to hit and two back in case they altered course. When they hit the U-boat, everyone gave a big cheer – it was the biggest bang I’d ever heard. Bill carried out 10 patrols on the Satyr – two in the Bay of Biscay and the rest off the coast of Norway. He left the Navy in March 1946, returning to a job in the steelworks. But all these years later, his annual trip to Dundee remains special to him. This entry was posted in UK Submarines and tagged HMS Ambrose, HMS Satyr, HMS Sceptre, Royal Navy, Sonar Operator, Submarine, U987, World War 2 on September 28, 2013 by jasonlockley. Hello my name is Fiona Bailey Humiston, was looking up and learning more about my Dad’s career in HMS Royal Navy as a Submariner, as he never revealed much it was extremely interesting. I was born in Weymouth and lived on the the “Rock” and in Melksham, Wiltshire. Sadly Dad passed away in 1987. I now live in Alaska, home on holiday after 30+ years. Looking for more info on my Dad William Robert Bailey. I know he served on the Satyr as I see him in the photo you have published on your website !! I also think he served on the Cambrian, Sealion, Tireless and the Alliance that I can recall. I will be in England until April 6th 2018, if you can pass along any info that would be amazing or [lease call me at 07933533379. i plan on being in Gosport the week of April 1st. Thank you in advance for your time, daughter of a Submariner.